Cristela Alonzo, Making Funny Her Own Way The comedian got a prized spot on the popular late-night TV show Conan because her no-holds-barred stand-up act makes audiences laugh and think. She steps up to the mic for a talk with Tell Me More host Michel Martin. 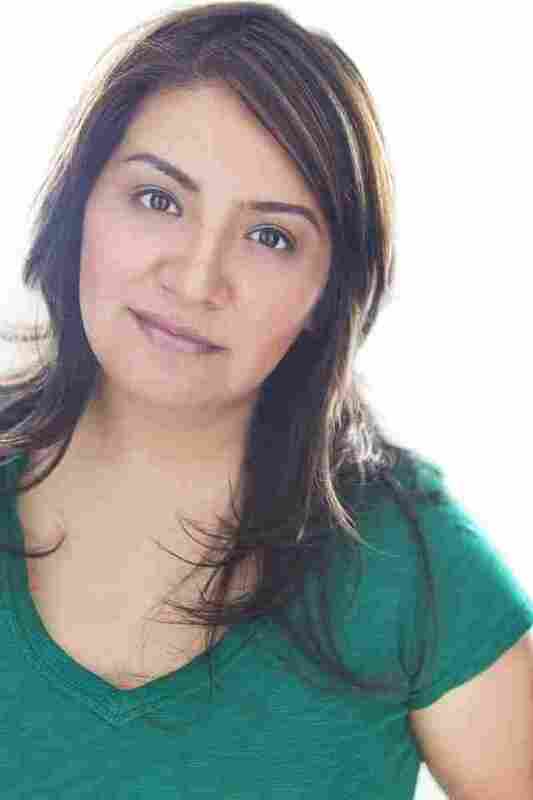 When Cristela Alonzo started out as a stand-up comedian, she had two rules: "No jokes about being Latino, and no jokes about being female." She says she wanted to emulate the comedy of Wanda Sykes, someone Alonzo believed was universally funny from the time Sykes first started on the comedy circuits. Long before Alonzo began her career in stand-up, she knew she was funny. "I did the Wizard of Oz in third grade, and I was a witch," Alonzo tells NPR's Michel Martin. "I said my lines the way I thought a witch would do it, and the kids kept laughing." It was the moment, Alonzo adds, where she realized that she had a comedian's way of seeing the world. Alonzo grew up in South Texas, but she began her formal comedy career in Dallas. She got her first big break in 2006 when she was hired to write for a Comedy Central show after moving to Los Angeles. In 2010, a national audience got a taste of Alonzo's comedy when she became a semifinalist on the popular NBC program Last Comic Standing. That kind of exposure opened up many doors for Alonzo. She was part of Showtime's comedy special Legally Brown, a showcase featuring a diverse collection of comedians that premiered in May 2011. From there, Alonzo has continued to improve her standing in the comedy world, including her late-night debut on Conan in July. Though she at first shied away from telling jokes about being a woman and Latino, Alonzo is drawing on those personal experiences in her comedy now. She admits that any member of her family is fair game, and potential comedy fodder for her stand-up. Whether she's cracking a joke about her mother's lack of tact, or a date's lack of cultural understanding, Alonzo's comedy is drawing on her own experiences and asking her audience to laugh along with her. "My goal has always been to just kind of show how my family, we might be a different culture, but we're completely like everybody else," Alonzo says. Still, she says that comedy can have its dark moments, too. Alonzo faces the occasional heckler who will boo her or throw racist slurs her way. Alonzo says that while it hurts when it happens, something bigger keeps her onstage. "It's that thing in me, that I've always wanted to do it," she says. "This has always been bigger than me, and I just have to keep going." When asked if she had any advice for young comedians who are trying to find their way in the sometimes brutal world of comedy, Alonzo says: "Whatever you want to do with your life, you really got to want it. And if you want it and you work hard, it will happen."